Business owners and online marketers can no longer afford to ignore the power of landing pages.it has the power to generate leads as well as make sales. There are a number of online tools to help you create great landing pages and Unbounce is one of them. In this Unbounce review, you will read about this landing pages resource in great detail. Unbounce has been in the business of landing pages since it was established as a company in 2009. It is a product that is geared towards making online marketing better for all businesses with a website. If you want a better way of reaching your prospects, Unbounce landing page builder is all you need. This is a tool for creating, publishing, and testing landing pages. You want to be sure that you have the best landing pages before you start using them commercially. Unbounce is definitely a great boost to your business given that your customers can have an enhanced improvement. So far, Unbounce has listed at least 10,000 customers including some of the biggest names globally. You don’t have to be an expert programmer to build a landing page on Unbounce. The good this is that you get to choose how you want your page to look. Apart from building landing pages, you can also easily edit them for publishing in just under 5 minutes. What Are the Unbounce Top Features and 30 day Free Trial? Some Unbounce reviews have pronounced it as the only platform that provides a ‘drop-and-drag’ for sure. This is an advanced tool you can use to drag images, blocks of text, and videos across the landing page. That is in addition to integrating online marketing tools for improved efficiency and minimized time. Examples of these tools include Salesforce, Marketo, Hubspot, WordPress, MailChimp, and Zapier. This is a feature that makes it easy for you to optimize your landing pages for improved conversions. Create a duplicate of your landing page and add onto it different elements. Visitors to your site will be attracted to one version of the page or the other. With that, you can gauge which of the pages is performing better than the other. With Unbounce, it is much easier to build these landing page features that allow you to get more leads. You can link the pop-ups to pages on your website as well as the marketing tools. Whether it is to the marketing executives or the CEO, Unbounce makes it possible for you to receive email notifications when a lead signs up. That way, you are able to track the progress you are making in your online marketing efforts. This landing page platform allows you to build and run A/B testing on more than one pages. You don’t have to restrict yourself to using particular domains to publish either. After you have designed your page, you are free to publish it to multiple domains if you so wish. Unbounce has recognized the role of mobile devices in accessing the internet for millions of people. That is why they provide 100 percent mobile optimization to all the pages you build. Take advantage of mobile optimization and you will see a huge improvement in your conversion rates. In addition to optimizing your landing pages for mobile, you can use widgets, parallax scrolling, and superb backgrounds to create a better customer experience. No matter how many landing pages you are designing, Unbounce provides you with numerous features are templates to choose from. To optimize your site for mobile, you will have to choose among at least 85 templates. You don’t have to use a template, however. A blank page is where to start if you already have a design idea. Are you having trouble managing your clients? 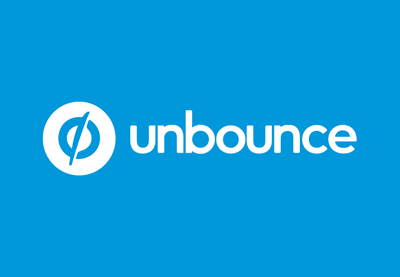 Use your Unbounce account to manage all your clients. You also get the opportunity to organize the leads for your clients. You can expect top speed from your landing pages all the time. With Unbounce, you are guaranteed 99.99 percent uptime. Your pages will load very fast. Unbound has four data centers across the world to give you uncompromised loading speed. Unbounce has unrivaled efficiency levels. Over 13,000 marketers are using their services just because of that. Creating landing pages is easier on Unbounce if you start with templates. You can choose a template on the basis of your industry, conversion goals or campaign. Choose the elements you want to add or remove from the page. After switching out text and images, you can adjust fonts and colors to match the feel and look of your brand. The alternative is to create your landing page from scratch. You need to have an idea of the type of design you want before choosing a blank page. Take your time to add sections to the page. Drag-and-drop videos, forms, boxes, images, logo, and text onto the page. Ensure the font and color match the look and feel of your brand. After that, you can set up a call to action tab or lead capture form. Unbounce makes it easy for you to customize your mobile page. Use the Layout Assistant to prepare your mobile page for publication. Resize the text and adjust other page elements. If there are any elements you don’t want to be displayed on mobile, hide them. Start by adjusting your SEO settings. Choose whether you want the page to be seen by search engines. After that, write a title and meta-description based on an industry keyword. Set-up forms to give your prospects an opportunity to interact with you. You might as well tell them ‘Thank You’. Set the actions you would like the page to track as leads. The domain on which you choose to publish your landing page will determine its URL. It could be your own website or secondary host. Unbounce has a script manager which you can use to embed scripts such as Google Analytics or AdWords almost instantly. This can be done simultaneously on several landing pages. With Unbounce, you can direct leads to CRM and marketing automation tools. All you need it select the integration you need to make and set it up. Examples of tools you can integrate with include Salesforce, HubSpot, AWeber, MailChimp, Speak2Leads, Campaign Monitor, and Infusionsoft. Now that your landing pages are ready, preview them and publish. Test both the mobile and desktop pages. With that, you will be sure how it will look when customers start using it. What Is the Unbounce Pricing? For most business people and marketers, pricing is a key consideration when it comes to listing on a landing page platform. Overall, Unbounce is not one of the cheapest tools. The price for this package stands at $49 per month with the promise of getting up to 5,000 visitors. Because of its low price, signing up for this option gives you access to only a few landing page features – just enough you need as a digital marketer. Best Value Plan: You will pay $99 per month to use this plan. You can expect up to 25,000 visitors to your landing page. It comes with features such as Dynamic Text Replacement and Professional Integrations. The Pro Plan The price for this package is $199 per month for up to 100,000 unique visitors to your page. It features Dynamic Text Replacement which you can use to change your landing page text in accordance with your ads. Other features include Client Sub-Accounts and Professional Integrations. With Unbounce, digital marketers will never go wrong. The process of creating a landing page is easy to follow. On this platform, you can have pages ranging from the simple to the complex. Barring price considerations, Unbounce if perhaps the best landing page builder. Use it and you will be glad you did something about creating more leads for your site.